WOW!! That was a fast first year in business! And, I must admit, I am thrilled that 2014 is done and gone~ WHAT A RIDE!! We achieved so many exciting milestones in 2014, much of which we had no idea what we were really getting into prior to forging full steam ahead! Divine intervention most certainly was the greatest factor of our survival!! But through the baptism by fire, we’ve stayed afloat, learned a ton about farming from top experts in their field, developed our insight and awareness of how important this resource is in our community and, perhaps most importantly, kept it together enough to agree to give it a go another year! So what is in store for 2015?? We are thrilled to share our main goal of love, live and leave a legacy approach to running our business. Our intention is to love our work while teaching people the value of living life to its fullest and supporting personal health, community development and realizing the impact our choices make on changing the world view. Our ‘LOVE’ mission is to establish our family farm as a working SPIN model to produce Community Supported Agriculture (CSA) profitably in 2015. Last season’s impromptu CSA Program proved viable and we hope that this season it becomes profitable. Our manpower is limited to family and a few diligent volunteers and neighbors, so we get to take on only as many shares as we are confident to supply. Our memberships are filling quickly, so if you’d like to become part of the program, sign up now for the 2015 season. We will make an announcement when we reach capacity for this season. Enrollment for the 2016 season will open in August and run through October 2015. This is the best practices method for duplicating a sound business model as it is designed for small growers. Our ‘LIVE’ mission is passing on savings for buying power as a Cooperative to encourage affordable holistic living. We continue to create and foster relationships with wholesale produce distributors, wholesale buying clubs and area artisans and health care practitioners who offer their goods and services to our members at discount prices. Additionally, our meetups, playshops and updates on organic agricultural happenings around the globe are meant to encourage each of you to live your life to its fullest and share your inspiration and growth with us along the way. We are in this together! Without each of you contributing your personal passion to this business, we would not exist. Thank you for participating in all Grateful Plains has to offer throughout the year. Our ‘LEAVE A LEGACY’ goal is to educate our community about the benefits of preventative health through nutrition and horticulture therapy. The main classroom for our educational programming is the dirt. We offer internships, volunteer opportunities, gardening demonstrations and sunrise yoga regularly on the farm. 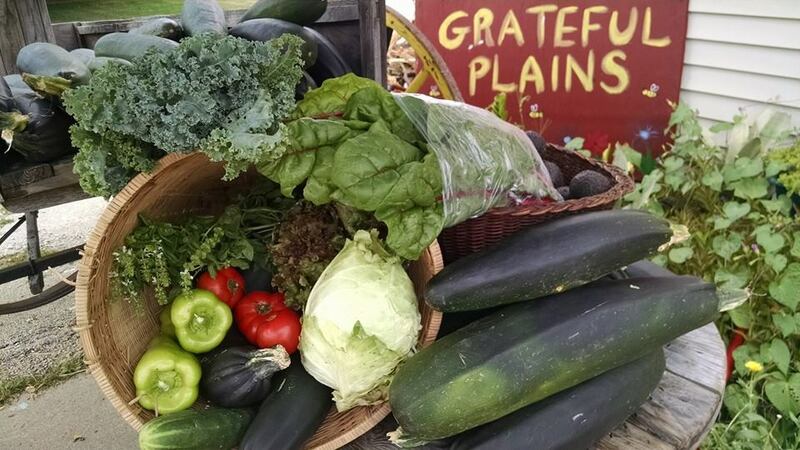 Area organizations utilize the Dirt and Duty Community Market Garden along the railroad tracks in Grand Ridge, IL for their growth and development, including garden therapy, creative arts, and life sciences demonstrations. Plans are in the works for a 2015 student garden on the site, hosted by Grand Ridge Grade School elementary and junior high students who will learn garden basics prior to transferring their skills to campus once construction concludes at the school. We are looking forward to an incredible year as we grow Grateful Plains. THANK YOU!! For being an essential part of our journey!